Bulgarian whistleblower Katya Mateva agreed on Thursday (29 November) to have a bundle of documents she gave to EURACTIV published to substantiate claims of a massive scheme of illegal sale of Bulgarian passports to foreigners, involving high-level officials. Speaking to EURACTIV earlier this week, Mateva named Deputy Prime Minister Krassimir Karakachanov, the former Justice Minister Ekaterina Zaharieva (now foreign minister) and MEP Andrey Kovatchev (from Boyko Borissov’s GERB party) as the most senior people involved in the scam that has enabled thousands of foreigners to obtain Bulgarian passports for cash, and with them visa-free travel across the EU. Zaharieva and Kovatchev have both “categorically” rejected all allegations of wrongdoing after the article was published. They have asked for it to be retracted unless the documents alleging their role in the scheme are published. EURACTIV’S request for a comment from Karakachanov has not been answered. EXCLUSIVE: A deputy prime minister, a minister and a Bulgarian MEP are allegedly responsible for illegally selling Bulgarian passports to foreigners, according to claims made by a whistleblower who provided a bundle of documents that appeared to confirm the accusation. Among the many documents in its possession, EURACTIV chose to publish the “Explanations” Mateva has given to the State Agency for National Security (DANS), in which the names of Karakachanov, Zaharieva and Kovachev appear. The names of minor actors have been redacted. The report of the State Agency for Foreign Intelligence for 2016, which was originally made public but has since been unpublished, says on page 5 that the illegal schemes for obtaining Bulgarian citizenship represent “a threat for the state security”. 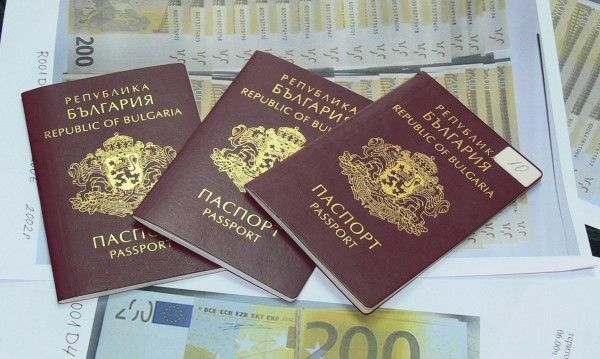 Several sources have told EURACTIV that the ‘cash-for-passports’ affair re-surfaced only after US law enforcement officers arrested several Albanians suspected of terrorism, holding genuine Bulgarian passports. US authorities reportedly asked for explanations, which prompted prosecutors to start investigating the State Agency for Bulgarians abroad one month ago. Last year the former chief of Macedonian intelligence, Goran Grujovski, and his aide Nikola Boskoski were arrested in Greece. They were sought in their country for their alleged involvement in the country’s illegal wiretapping scandal. Grujovski and Boshkoski tried to leave Greece with real Bulgarian passports issued under fake names: Hristo Atanasov and Nedjbi Hassan. Petar Boyadjiev, a former Bulgarian dissident living in France, told this website that he has been aware of the scam and of its dangerous consequences for three years, and that the French authorities were very concerned, as their interests were also at stake. Boyadjiev said he had warned Kovatchev early on that what he was doing to unblock the applications for passports was illegal, and that he had also informed national security agency DANS about it. “I want to state that Kovatchev organised [the meeting that unlocked the blocked dossiers] at the request of Karakachanov”, Boyadjiev said. Regarding Zaharieva’s role, he said she had entered Karakachanov’s orbit as minister of justice. In his words, when Zaharieva was pushing for legislative reforms, Karakachanov said: “I will support you if you kick out Mateva [the whistleblower]”. Boyadjiev said the authorities in Sofia were panicking because the recent publications were a “tsunami” and a “tornado” they could not stop. He said the Bulgarian prosecution had “tons of proof” about the scheme which should come to light sooner rather than later.